"Switzerland's SpezialMaterial crew return once again with another new artist, another crushing EP and yet another packaging concept that leaves mouths watering without fail. These guys truly are a force to be reckoned with, having grabbed the attention of the Skam crew and electronic heads around the world, it's easy to see why anyone who comes across their obscure releases clamours for more. 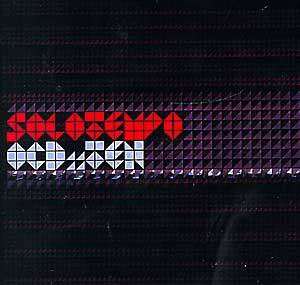 Solotempo's debut effort is a devastatingly crunchy electronic affair, all squashed beats and deep basslines, the kinds of atmospheric keys that Gescom delight in doing our heads in with...just the right side of futuristic bliss."